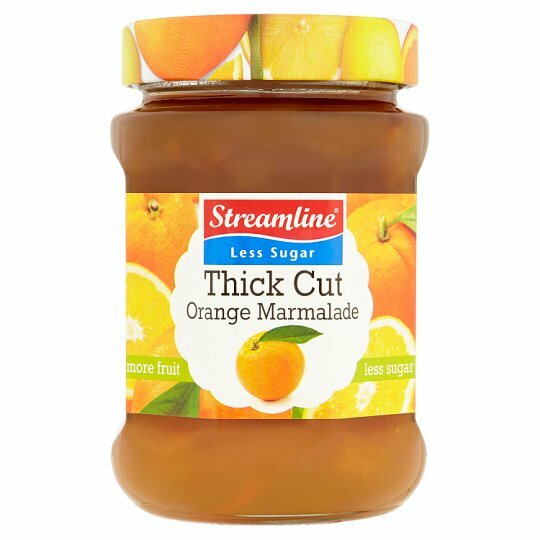 Reduced sugar thick cut orange marmalade. Our marmalades are expertly prepared to retain the natural flavour of the fruit, and as we use 30% less sugar than standard marmalades, we can pack in at least 60% more fruit! Refrigerate after opening, please use a clean spoon and consume within 6 weeks. Safety button on lid pops up when seal is broken.